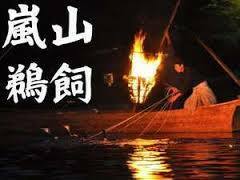 Ukai is a traditional fishing method which appeared in old Japanese documents during the 8th century. It is recognized as one of the valuable Japanese cultural forms and has been actively preserved in Kyoto and Gifu prefectures. 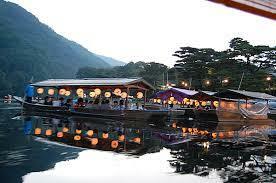 Ukai in Kyoto is one of the must-not-miss summer tourist attractions in Arashiyama and Uji. Cormorants (large diving birds) are used to catch sweet river fish, or ayu carried out on the Oi and Uji rivers. Tourists can watch the events from either the banks of the river or get a seat on a boat which will let them watch the performance up close. The good times for fishing are moonless nights when the fish are easily attracted to the fire torch lighting on the boat. There are now two women ukai (trainer of cormorant) in Uji. *This might be cancelled in the case of bad weather.